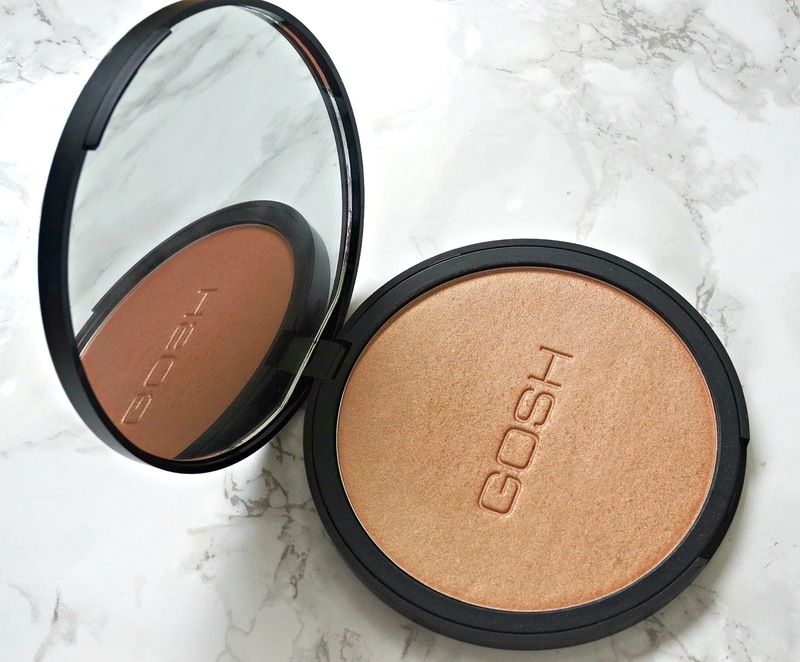 My current favourite bronzers featuring Gosh, Becca, Make up For Ever and more! 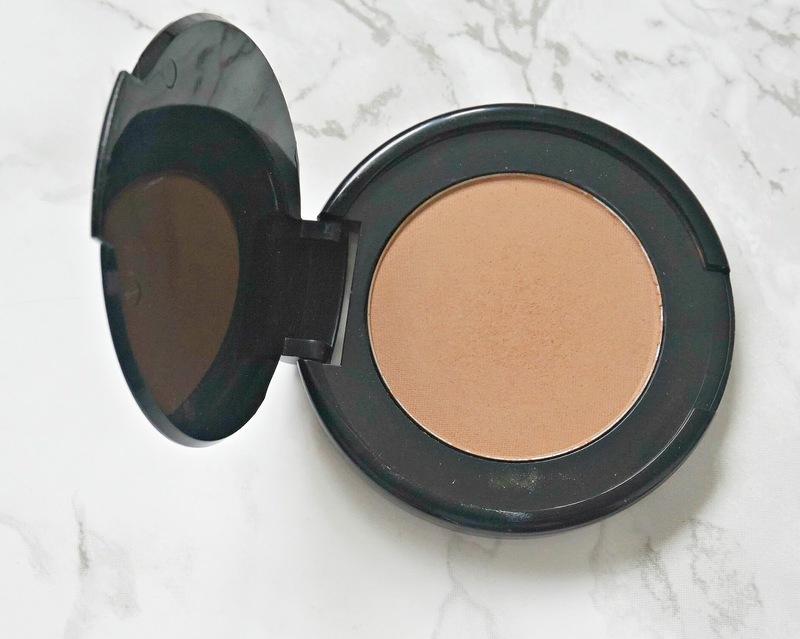 I've always loved using bronzer to add some life and dimension to my face but I used to only ever use MAC Refined Golden - I literally repurchased it for years until one day curiosity got the better of me and I decided to try a different one. I'm not sure how I went from being staunchly loyal to one product to having around 10 in my collection - totally ridiculous, I know! Today, I've narrowed down my favourite six and I've put the other four into my friends/family pile - just call me a minimalist already! I'll start with Nars Laguna, which is the only one of the products in this post that I have repurchased and this current one is well loved too. It might look a bit muddy in the pan, but it really doesn't look that way on the skin. It applies and blends really well for both an all over sunkissed look or a contour. There is a slight shimmer to it but it doesn't translate as shimmery on the face. A good all-rounder that I will most probably repurchase again in the future. I got this Too Faced Chocolate Soleil Bronzer as a 100 point perk with a recent Sephora order after wanting to try it for so long. This is a completely matte bronzer but that doesn't make it difficult to work with at all. It's a medium brown - no orange or red tones but not grey either. It gives the skin a very natural look - perfect for adding a little depth and not too in your face for daytime wear. Oh and did I mention that it smells like chocolate? I absolutely love the soft texture of Make Up For Ever Pro Bronze Fusion, which means it applies and blends seamlessly to give life and a glow to the skin without being shimmery. 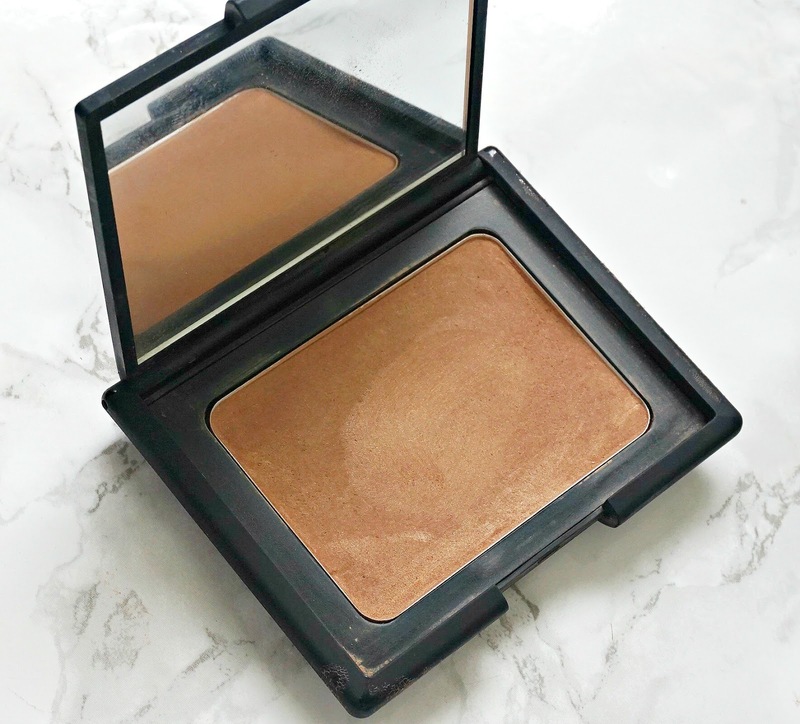 There is no chance of a muddy finish to the skin with this bronzer. It's described as waterproof however I haven't tested that claim but it's very long-wearing. This would be the perfect bronzer for those who are scared of looking too brown/orange/muddy because it would be impossible to be any of those things with this product. I am very fond of Becca products that this new Sunlit bronzer definitely lives up to the brand's high reputation. The powder is the perfect balance between firm and soft, which makes is very easy to blend and it gives the skin a really natural look. It isn't flat matte, nor is it overly shimmery - it just looks like the skin has a natural glow with a slight sheen. I'm in love with this bronzer! All Becca products come with free shipping on Cult Beauty for the month of June if you are interested in buying it. 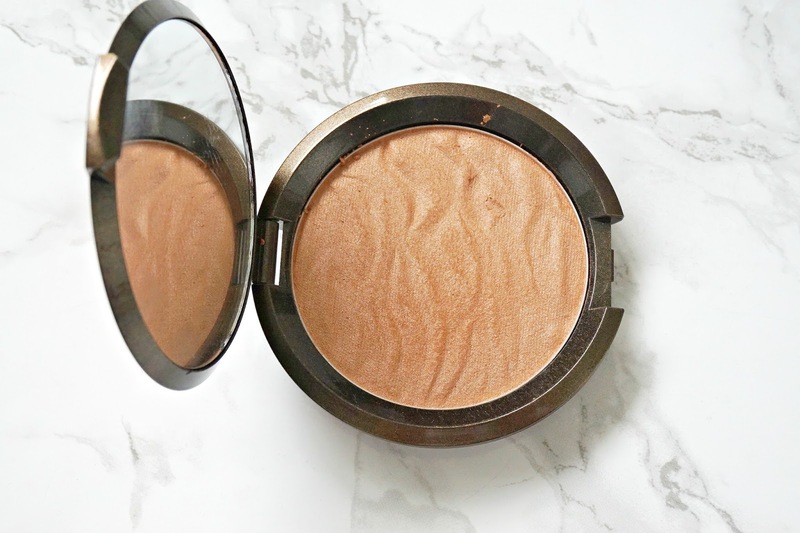 Another brand that I absolutely love is Hourglass (brand focus post here) and, again, this Ambient Light Bronzer in Luminous Bronze Light is no exception. 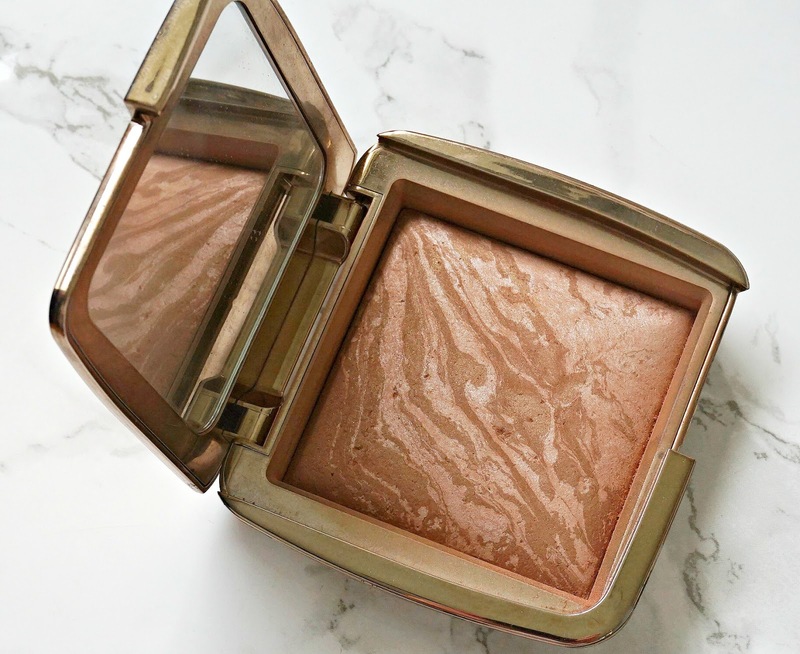 Like Hourglass blushes, this bronzer is mixed with an Ambient powder - in this case, Luminous Light and the result is a very lit from within glow. I love to wear this as an eyeshadow too for a quick look because the bronze tone really makes my green eyes pop. This would not be suitable for contour due to the shimmer and a light hand is definitely needed when using it. Finally, I have GOSH Giant Sun Powder, which is so big that I don't think I would finish it if I used it for the next 5 years, yet it's a bargain at £13.99 or €19.99. 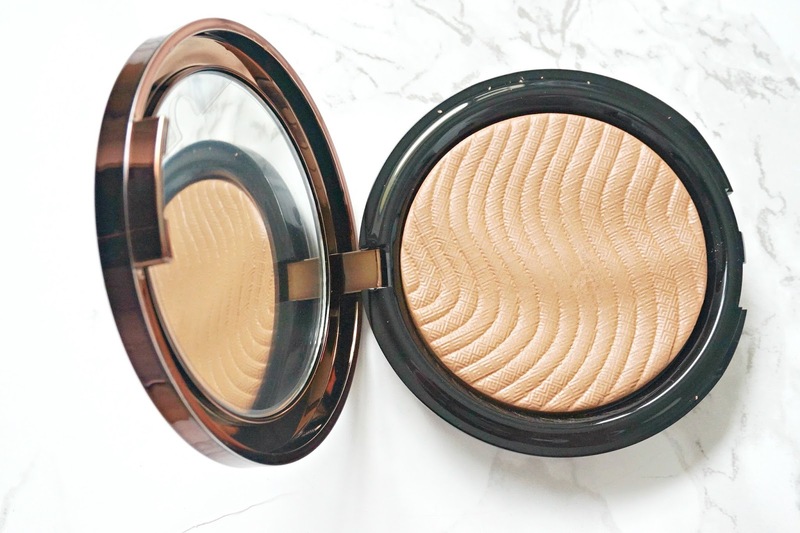 Like the Hourglass bronzer, this has a sheen to it so it gives the skin a glow - therefore it wouldn't be suitable for use all over the face or it might highlight imperfections. Instead, I use it sparingly along the tops of cheekbones, on my cupids bow and along my collarbone - it is perfect for summer or nights out! I'd like to try more Gosh products, maybe a highlighter or blush next! 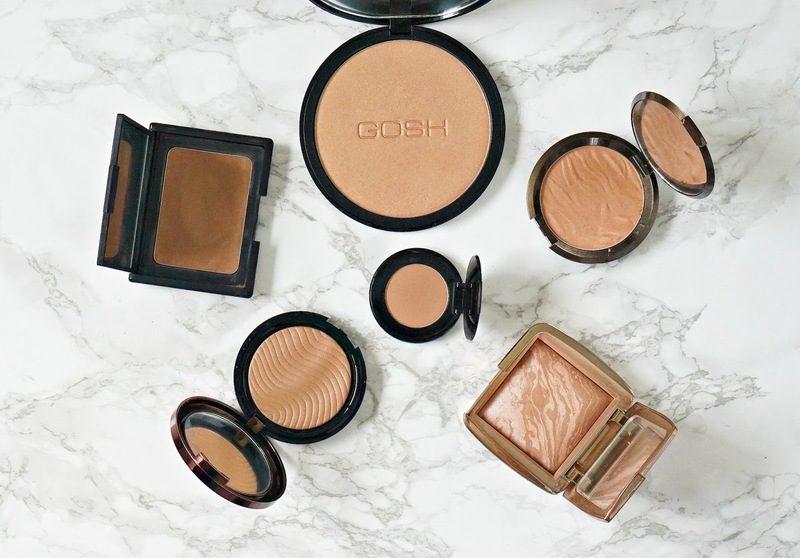 Are you a fan of using bronzers? What's your favourite one? I'd love to hear in the comments below! If you want to win a Becca a Chrissy Teigen Face Glow Palette, you can enter here.